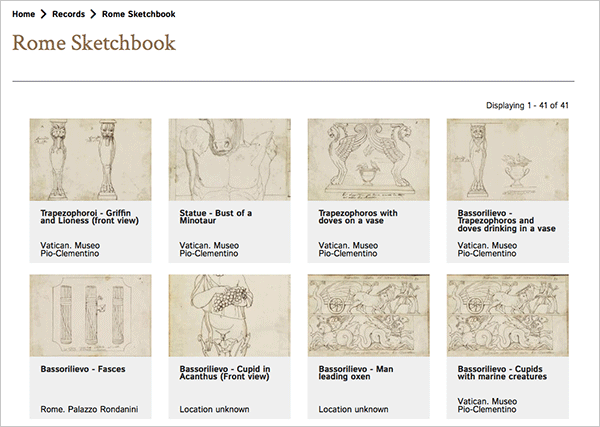 Within the Special Collections of the Getty Research Institute, there can be found a beautiful and rather complicated object: a large album containing sketches, tracings, and annotations in three languages. In 1805, French artist and draftsman Elie-Honoré Montagy set off on a trip through Italy, making a visual record of the works of classical antiquity to be found there. The result, an album of more than 430 drawings and tracings from Montagny’s travels through Italy, acts as a kind of “paper museum,” revealing the state and breadth of Italian antiquity collections in the early 1800s. For researchers Martine Denoyelle and Delphine Burlot at the Institut national d’histoire de l’art (INHA, the French national institute of art history) in Paris, the album is a time machine. The ninety pages in the album preserve a rare look into artistic trends of both the nineteenth century (the time of the album’s creation) and classical antiquity (the time of the objects that the album depicts). Its research value to traditional art history practice was clear to Burlot and Denoyelle, the leaders of what came to be known as the “Digital Montagny” research team. It was also clear that studying it from Paris presented a challenge: its bound folios, jam-packed with images, needed to stay safely cloistered in the exactingly climate-controlled sublevels of the Research Institute. 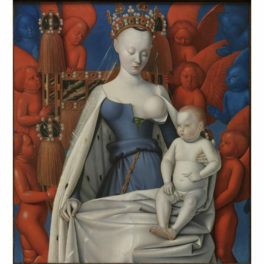 The Getty’s digital art history team was determined that this challenge could be overcome. Together, the Research Institute and the Insitut national decided that Montagny’s album would be the perfect object for an online research project that would result in the Institut’s first born-digital publication. Today the outcome of that initiative is live on the web as Elie-Honoré Montagny’s Recueil d’Antiquités: A Digital Critical Edition. The new work on the Montagny album was done using Getty Scholars’ Workspace™, an online research environment for digital collaboration. 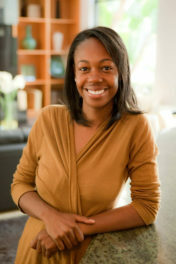 Working in this online setting helped facilitate the otherwise arduous and costly (if not impossible!) process of transatlantic collaboration and in-depth analysis of a primary source document. By studying a digital facsimile of the album within the Scholars’ Workspace, team members in Paris and Los Angeles could examine, annotate, and discuss an object preserved in a vault. During the research, principal investigators Denoyelle and Burlot and their team painstakingly analyzed each drawing and tracing in an effort to match each sketch by Montagny with the object it depicts. 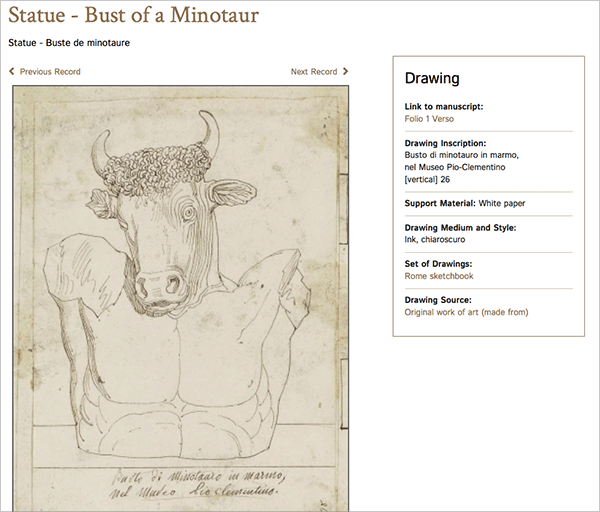 The result of this project, the second to be conducted within the Getty Scholars’ Workspace (the first was Pietro Mellini’s Inventory in Verse, 1681), is a born-digital publication that is as unique and multifaceted as both the object it explores and the process that produced it. 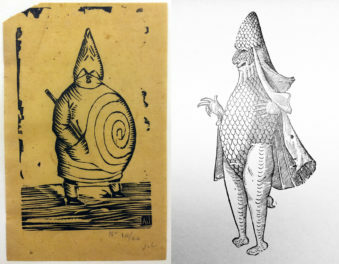 In addition to detailed information for every drawing and tracing in the album, as well as the original objects that Montagny’s sketches and tracings depict (with links to images of those objects wherever they are currently preserved, when the research team was able to identify them), the publication features ten essays, each one written by a specialist in a particular field. These essays, and much of the text elsewhere in the publication, are available in both French and English. But the primary language of the publication is the image, and you don’t need to be proficient in any tongue to experience the hundreds of elegant renderings contained within. This is one of the boons of a digital publication: a formerly obscure resource becomes freely accessible to scholars and art lovers alike. Two hundred years after Montagny created it, anyone with Internet access can view his little paper museum. Providing unfettered access to primary source materials, and accommodating the multiple viewpoints that are—or should be—characteristic of humanities research, are two of the fundamental raisons d’être of the Getty Scholars’ Workspace. This publication is the fruit of many years of collaboration between the Institut national and the Research Institute, which has included staff exchanges, workshops, and joint publications. Institut staff has made, and continues to make, many contributions to key Research Institute projects such as the Getty Research Portal, provenance research, and now Getty Scholars’ Workspace. We are grateful to our French colleagues for taking the plunge with us in using this collaborative toolset for art-historical research and knowledge dissemination. Murtha is the head of digital art history access at the Getty Research Institute, and Nathaniel is the digital art history research assistant.